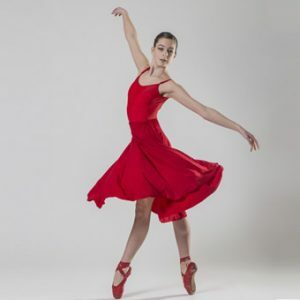 After 8 years training in Mission at the Fraser Valley Academy of Dance under the artistic direction of Mr. John C. Carney, Marin Greenan (age 15) is heading to the Royal Winnipeg Ballet School in September. Following an invitation this summer to attend their Professional Division, the Grade 10 student will be furthering her training in preparation for a professional ballet career, combining many hours of ballet classes with her ongoing academic studies. The Royal Winnipeg Ballet Company shares the state-of-the-art building and studios with the school, offering students an amazing opportunity to experience professional dancers in class and rehearsals on a daily basis. With a residence attached to the building, the students have everything they could ask for under one roof, providing an inspirational and quite unique environment for aspiring dancers. Marin has been a member of FVAD’s Pre-Professional Academy for the past three years, taking 20-25 hours of class each week on top of her academic school program. Her teachers have included former professional dancers from English National Ballet, National Ballet of Cairo, Kharkiv National Ballet, Rambert Dance Company, and Orlando Ballet, among others. As with most art forms, being taught by those who have had a professional career in ballet, and who were themselves taught by former professionals, is the best route towards a career in ballet. 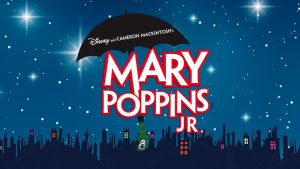 FVAD has presented the Nutcracker at the Clarke Theatre in Mission, choreographed by John Carney since 2008, and Marin has been in every one of them. Starting as a little candy cane at age 7, she progressed through the years to the coveted role of Clara, and on to perform as the Snow Queen. Last year, she performed the incredibly challenging role of the Sugar Plum Fairy, a position normally reserved for professional, international guest artists hired in by the Academy. With such an advanced level of ballet training and performance experience behind her, Marin has a very bright future ahead. The Royal Winnipeg Ballet School is exactly the place to continue the nurturing, dedication and hard work that began in Mission. For more information on the Fraser Valley Academy of Dance, please contact Mrs. Carney at 604-826-0097 or info@fvad.ca, or visit the website at www.fvad.ca.